Footy fans will get an Easter treat when Nine’s Wide World of Sports broadcasts four NRL matches Live and Free this weekend, with two games on Good Friday in addition to Thursday Night Football and Sunday Afternoon Football. Kicking the weekend into gear on Thursday Night Football, the Cowboys play the Panthers. The Cowboys will relish the chance to play at home in Townsville after an away loss to the Storm with Johnathan Thurston and Jason Taumalolo out to lead from the front when they look to improve on their defence. The Panthers will be without boom halfback Nathan Cleary due to injury and travel north as the underdogs. Tyrone Peachey will join James Maloney in the halves and James Tamou lines up for his 200th NRL match against the club he tasted premiership success with in 2015. The traditional Good Friday Football clash between the Rabbitohs and Bulldogs from 3.00pm AEDT is a match-up that has proven to be eventful and sometimes spiteful in its short history. Nine’s rugby league expert, Brad Fittler, says: “I circle this one on the calendar every year. There is no love lost between these two sides when they come together on Good Friday. The Rabbitohs possess a lethal attack in all areas, with Damien Cook in the middle and dangerous outside backs Dane Gagai, Greg Inglis, Robert Jennings and Richie Kennar all ready to strike if their forwards gain good yardage. On Friday Night Football, the grudge matches will continue with the Sharks hosting the defending premiers, the Melbourne Storm, at Southern Cross Group Stadium, in a clash that boasts several State of Origin representatives. After their first win of the season last week the Sharks line up for a tough forward battle against a hefty Storm forward pack. Josh Dugan will play fullback with Valentine Holmes on the wing, while Matt Moylan returns from injury at five-eighth. The Storm have two wins from three starts to show they will be competition front runners again in 2018. Billy Slater will relish playing against his opposite number Josh Dugan, and the Storm will be ready to weather any Shark attacks early before looking to Cameron Smith to steer them to victory. On Sunday Afternoon Football, the St George Illawarra Dragons play the Newcastle Knights in a showdown between the two steel cities in Wollongong. The Dragons, yet to lose in 2018, are out to continue their victory march in their first home game in Wollongong this year. Ben Hunt and Gareth Widdop have formed a potent duo within a well-balanced Dragons lineup. The Knights claimed praise for their two opening wins but were brought back to earth by a classy Roosters outfit last week. 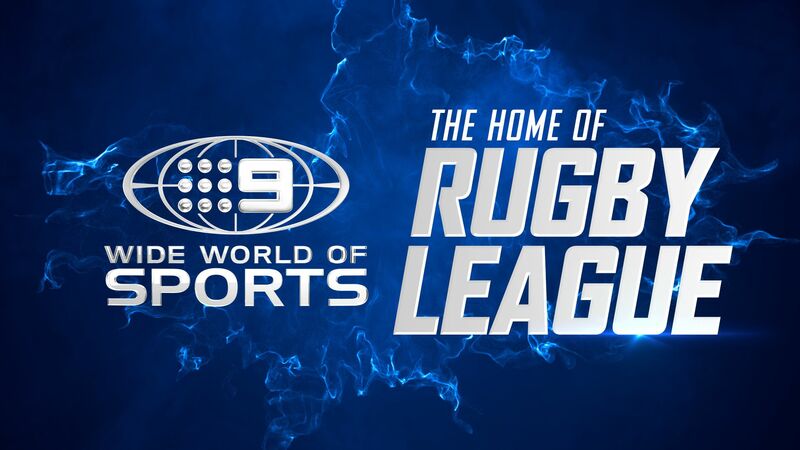 Nine’s rugby league expert, Andrew Johns, says: “The Dragons are flying and are the most impressive team in the competition after the opening three rounds. Everyone is playing to their potential and that should continue on Sunday.